When Henry V and his ‘band of brothers’ defeated the assembled might of French chivalry on a rainy October day in 1415 it was a defining moment in English history. The battle of Agincourt became part of the nation’s self-image. For six centuries it has been celebrated as the triumph of the under-dog in the face of overwhelming odds, of discipline and determination over arrogance and egotism, of stout-hearted common men over dissolute aristocrats. But what is the truth behind the battle upon which so many legends have been built? In this landmark study of Agincourt, prize-winning author Juliet Barker draws upon a huge range of sources, published and unpublished, English and French, to give a compelling account of the battle. But she also looks behind the action on the field to paint a portrait of the age, from the logistics of preparing to launch one of the biggest invasion forces ever seen at the time to the dynamics of daily life in peace and war. She shows how the chivalry and piety which underpinned medieval society, and the contradictions inherent in trying to uphold them, were reflected in the fate of those caught up in the brutal power struggles of the period. A mad king, murderous dukes, scheming bishops, knightly heroes, surgeons, heralds, spies and pirates, the story of Agincourt has them all. Rich in detail and drama, vividly and beautifully written, this is popular history at its best. "...a lively history. Accessible and scholarly, it is full of entertaining anecdotes and is a barometer for good history writing." "Juliet Barker's Agincourt "Barker's scholarly but very readable account of Henry V's campaign to revive his claim to the French crown is a benchmark for the way in which history should be written." 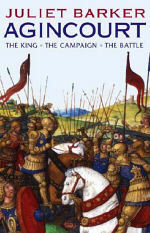 "...if you are interested in Agincourt, this book is a must, so get out and buy it. Highly recommended." "...an original, well-organised study which sets out to demolish some of the myths derived from Shakespeare's Henry V..."
"Rich in detail and drama, Agincourt reveals history at its best...a compelling account of Henry V's remarkable victory in 1415..."
"Barker's great achievement lies in her treatment of the less familiar elements of this dramatic story . . . It's an engrossing account, laced with unexpected and arresting images"
"a gripping and accessible account of a battle that looms large in European history . . . This is so much more than a narrow military work and manages to evoke a portrait of the entire age, from the logistics of preparing to launch one of the biggest invasions seen at the time to the dynamics of daily life in peace and war"
"a milestone in Agincourt studies"
"Her book is quite wonderfully vivid, clear and involving. She never forgets that a military campaign is made up of human beings. All the terror, dust and dirt of war is here . . ."
"This is the best book I have read for ages...Almost every page contains an insight into the medieval world. The narrative kept me reading into the night." 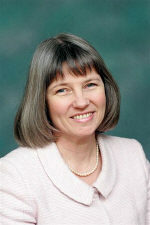 "Juliet Barker is a talented and versatile historian, best known as the author of a fine collective biography of the Bronte sisters. But she first made her name as a medievalist, and this remarkable history of the battle of Agincourt marks a triumphal return to the period . . . This book is a model of how to write scholarly history for a wide audience. Barker's deep understanding of the Middle Ages shows in many fascinating asides about contemporary life. Biographical vignettes of the participants, great and small, liven up her pages. Her style is taut, readable, informative." "...narrative non-fiction in grand sweep mode..."
"If you buy just one book of history this year, choose this one... Juliet Barker has written a classic account. Agincourt, like Henry's achievement, is a triumph." "a lively, stimulating account . . . full of both serious research and entertaining gems. Barker makes the politics of the Hundred Years' War . . . lucidly comprehensible." "a lively narrative of the campaign itself, with much fascinating detail and character sketches of the leaders on both sides. She brings vividly to life scenes such as the ceremonial surrender of Harfleur . . . or the extraordinary pageant mounted by the city of London to celebrate the victorious king's return." "Barker sets the scene for the invasion with tremendous convinction, medieval history at its best." "Agincourt is a tremendous achievement and bound to become a standard work on the subject. It should be on the wish-list of every historian and writer interested in the medieval period." "...Barker, a British biographer and accomplished medievalist, brings an excellent synergy of acdemic and literary skills to this study of the 1415 campaign in France..."
"...brilliant...compelling and extremely well researched."